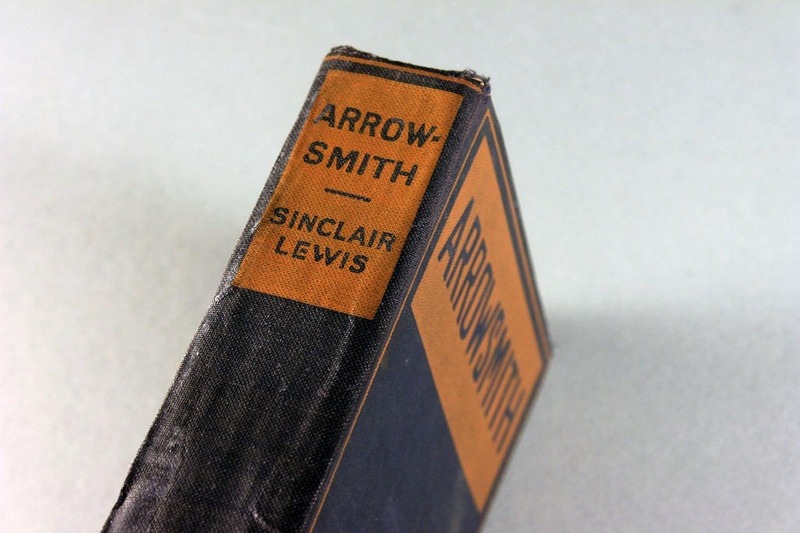 A classic hardcover book titled Arrowsmith by Sinclair Lewis. 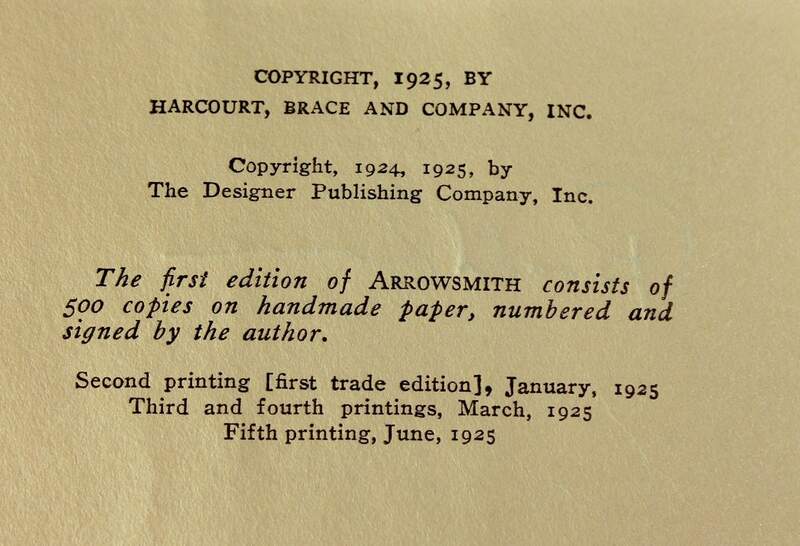 This is a 1925 fifth printing edition. 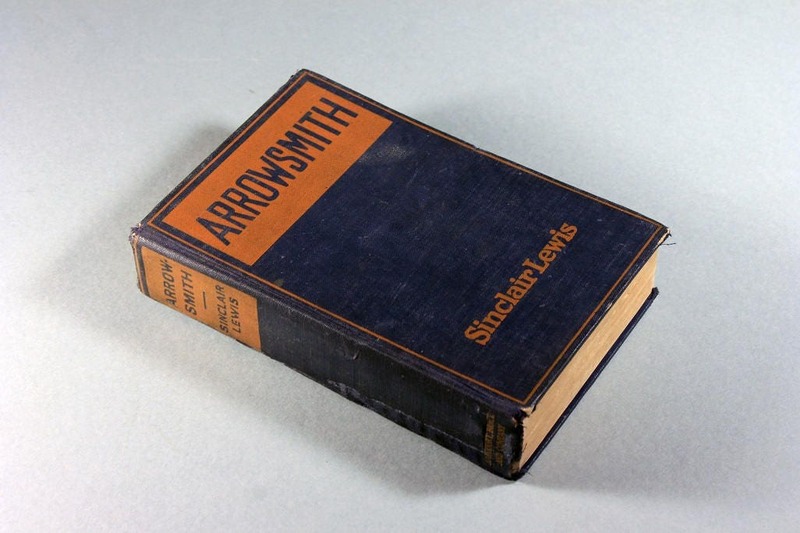 The book has blue cover boards with the title in gold on the spine and the front board. 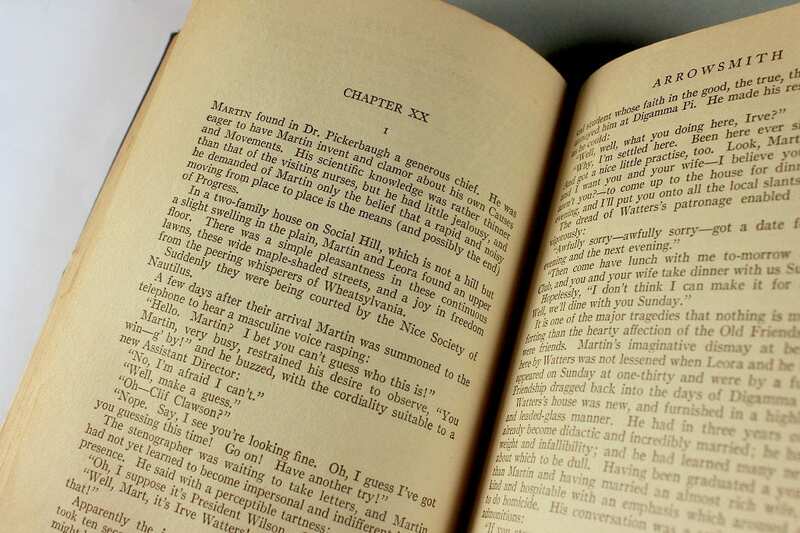 It won the 1926 Pulitzer Prize which Lewis declined. 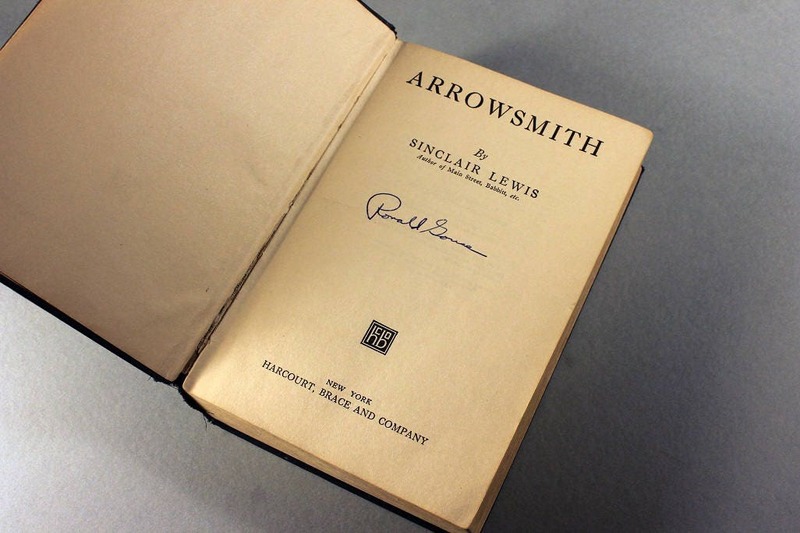 Lewis said at the time he did not agree with contests where one book or author was praised over another and wrote a lengthy letter to the Pulitzer Prize Committee to that effect. 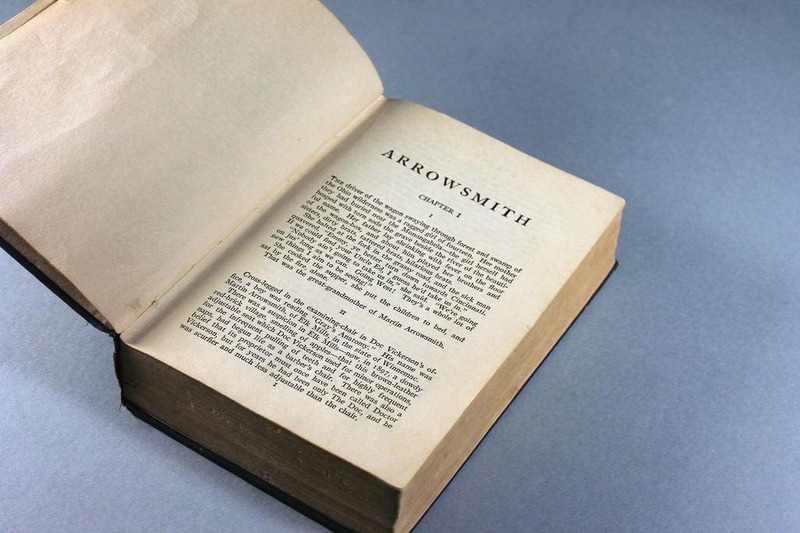 Arrowsmith tells the story of a scientifically minded Martin Arrowsmith as he makes his way from a small town in the Midwest to the upper echelons of the scientific community. Along the way, he experiences medical school, private practice as the only doctor in tiny Wheatsylvania, North Dakota, various stints as a regional health official, and the lure of high-paying hospital jobs. Finally, Arrowsmith is recognized by his former medical school mentor, Max Gottlieb, for a scientific paper he has written and is invited to take a post with a prestigious research institute in New York. 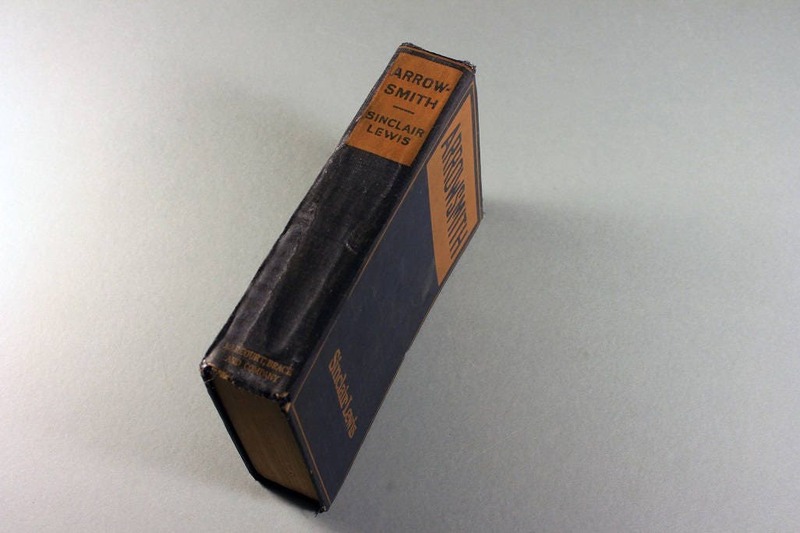 The book's climax deals with Arrowsmith's discovery of a virus that infects bacteria and his experiences as he faces an outbreak of bubonic plague on a fictional Caribbean island. Martin's wife, Leora, is the steadying and sensible anchor of his life. When Leora dies of the plague that Martin is sent to study and exterminate, he seems to lose all sense of himself and of his principles. The novel comes full circle at the end as Arrowsmith deserts his wealthy second wife, son, and the high-powered directorship of a research institute to pursue his dream of an independent scientific career in the backwoods of Vermont. Harry Sinclair Lewis (1885 – 1951), better known as Sinclair Lewis, was an American novelist, short-story writer, and playwright. In 1930, he became the first writer from the United States to receive the Nobel Prize in Literature, which was awarded "for his vigorous and graphic art of description and his ability to create, with wit and humor, new types of characters." His works are known for their insightful and critical views of American capitalism and materialism between the wars. He also was respected for his strong characterizations of modern working women. 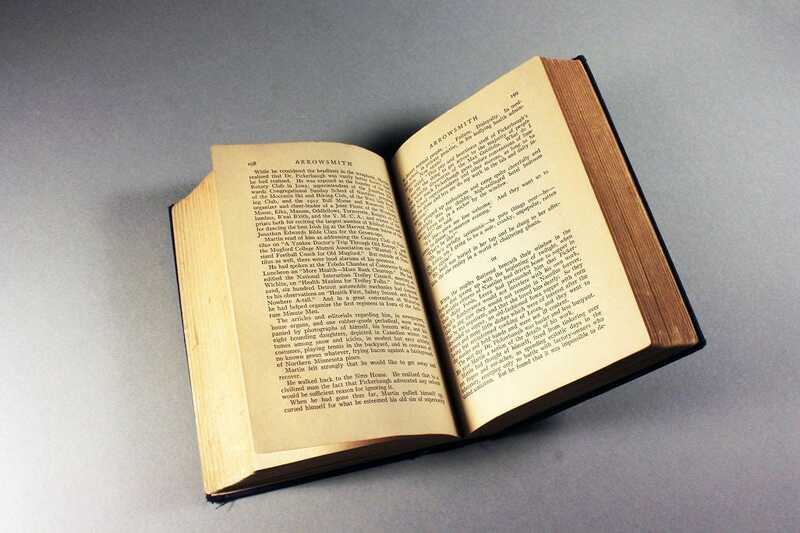 This book is in Fair condition. The binding is tight but has been repaired. The signature of a previous owner is on the inside title page. It has no dust cover. The book shows shelf wear and some fading. This book does show its age but it is in great reading condition.